Every new era of pop culture brings with it a fresh cast of creepy characters sure to frighten the living daylights out of vulnerable kids. Children of the ‘80s and ‘90s were terrified by Gremlins, Chucky, Freddy Krueger and the Grim Reaper. Millennials lost sleep over the likes of The Joker, Pennywise, Paranormal Activity, and countless incarnations of zombies. And for Generation Z, it’s not only scary movies and TV they have to contend with – but sinister internet memes, too, like the ill-fated Momo. While it can be easy to laugh off childhood fears once we’re adults, they’re no laughing matter for kids who are suffering from nightmares or fear of the dark. No matter how fictional, scary characters can become all too real in the imagination of a young child. To help parents respond to their childrens’ fears, clinical psychologist Tony Ritchie provides some expert advice. Before trying to pull apart your child’s fear, your first step as a parent or caregiver is to take him or her seriously. Don’t dismiss the fear as silly or ‘childish’, as that may shut your child down and stop them from sharing. Instead, help them to know that their fear is a normal, understandable reaction. Reassure your child that you understand their fear and that they are safe. Take time to comfort them. “Offer to sit with them for a while until they feel more comfortable,” says Tony. Your unhurried presence on its own can help those “monsters under the bed” to disappear, or become just a harmless memory. 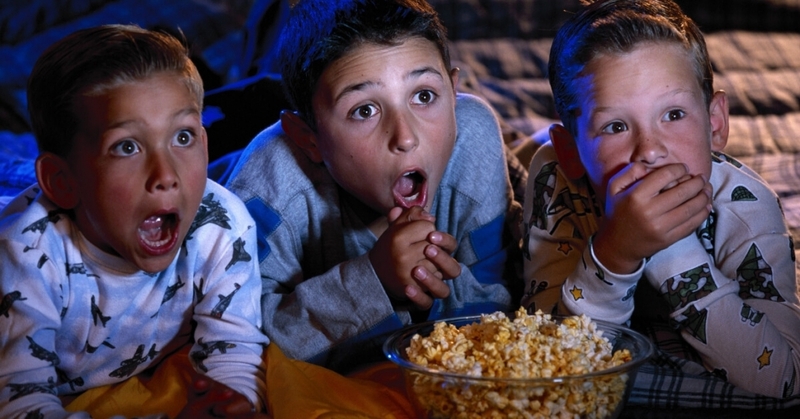 Break down the fear your child is experiencing, by teaching them a bit about what goes on behind the scenes in TV, movies or on the internet. If your child has been scared by a movie character, you could also show them a picture of the actor without their make up on, and discuss how movies work. It’s the same tactic as teaching a fearful flier about aircraft and aerodynamics: you’re removing the mystery. Another way to diminish your child’s fear of something is to have some fun with it, says Tony. By doing these imagination exercises, your child begins to face their fear in a non-threatening way, and learns that it can’t harm them. When children are scared by something they’ve seen online or on TV, often their fear is compounded by worries about “getting in trouble” if their parent or guardian finds out. As a result, their fear can grow even bigger. And sadly, well-meaning parents often encourage secrecy unwittingly, by shutting down conversations, over-reacting in a fearful way to media and online content, or doling out harsh punishment for inappropriate viewing. Tony’s advice is to foster open conversations, and help children learn how to make wise choices for themselves when they do encounter scary or sexualised content. Rather than punishing or shaming your child over their use of technology, instead be proactive and come up with boundaries that make sense. “Place appropriate boundaries around your kids’ viewing and use this as an opportunity to discuss healthy choices, and the dangers of seeking inappropriate material online,” he said.